Texas scientists — particularly those who study climate — are worried they may lose access to key government research funding under the administration of President Trump, who has repeatedly called climate change a "hoax." Late one night last month, Rice University climate researcher Daniel Cohan spotted a headline on Twitter that stunned him: The U.S. Environmental Protection Agency was temporarily freezing all grants and contracts. He immediately worried that the climate change-related grant application his team had been working on for months "was a goner." A week later, Cohan was relieved when his contact at the EPA confirmed in an email that the mid-February application deadline wasn't changing. The email coincided with reports that the EPA had lifted the freeze on billions of dollars of grants and that the programs would continue as planned. But Cohan and other Texas scientists — particularly those who study climate — are worried they may lose access to key government research funding under the administration of President Trump, who has repeatedly called climate change a "hoax." Such grant funding launched Cohan’s career — he’s received about $2 million in his 11 years at the prestigious Houston university from federal agencies including the EPA, NASA and the National Science Foundation. For months, he and his research team have been preparing to apply for another $900,000 to study ways to combat climate change. The federal monies have allowed Cohan to employ several graduate students who have gone on to work in a broad array of industries, including oil and gas. It is “what establishes the pipeline of putting scientists in the field,” Cohan said. While "it’s a huge relief to be able to submit the proposal that we’ve been working so hard on," he said, "given the amount of turmoil that’s happened just in the past couple of weeks time there’s going to be lingering uncertainty about whether proposals will actually be funded at all." Several scientists contacted by The Texas Tribune did not want to be named. Some said they feel confident that they will continue to receive money through the end of the federal fiscal year — Oct. 1 — but that they are worried about what next year could bring. While tenured professors do not expect to lose their jobs if grant funds are cut, some say they would have to let go all the graduate students and postdoctoral researchers they depend on. “Next year could be very, very bad for academic research organizations,” one University of Texas scientist said, predicting that if funding is cut that domestic graduates will increasingly choose private sector employment over research amid the uncertainty. The scientist asked that his name not be used because he fears he could lose his EPA grant funding. EPA is not the only federal agency that funds scientific research on the chopping block, according to various news reports. 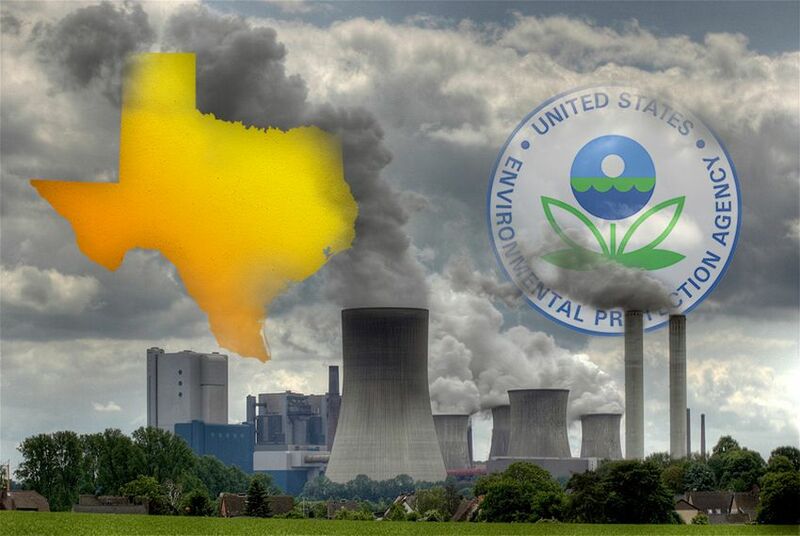 The U.S. Department of Energy, which former Texas Gov. Rick Perry is poised to lead, may face cuts “for nuclear physics and advanced scientific computing research to 2008 levels,” according to a report in The Hill detailing administration plans to shrink the federal bureaucracy. Another Texas climate scientist, Katharine Hayhoe at Texas Tech University, said a primary concern is what will happen to long-term monitoring programs that track climate change and weather including hurricanes and aquifer levels. That kind of data is used by all kinds of industries from insurance to big agriculture, she noted. Scientists also fear what will happen to vast troves of climate data kept by federal agencies, prompting several "data rescue" efforts. A request for information to an EPA spokeswoman was not immediately returned. Myron Ebell, the former head of Trump’s EPA transition team, told the Washington Post this week the agency “would be better served if it were a much leaner organization that had substantial cuts.” He has suggested cutting the EPA workforce to 5,000, about a two-thirds reduction, over the next four years and cutting the agency’s $8.1 billion budget in half, according to the newspaper. The EPA under the Obama administration awarded more than $4 billion per year in funding for grants and other assistance agreements, including to local and state governments, according to an Obama-era EPA webpage. Trump's pick to head the EPA, Oklahoma Attorney General Scott Pruitt, said during his confirmation hearing earlier this month that he does not agree with Trump that climate change is a hoax and that human activity factors into global warming. But he would not say that man-made emissions are the primary cause. During his hearing, Perry suggested efforts to combat it should not cost American jobs, energy prices or economic growth. “You can’t even begin to start thinking of these strategies if you don’t accept the fundamental fact that man-made emissions are causing this warming,” Cohan said. Testifying before a U.S. Senate committee, Secretary of Energy nominee Rick Perry said he believed humans contributed to climate change and that he no longer supported the dissolution of the Department of Energy. A powerful Senate committee backed Rick Perry's confirmation on Tuesday, clearing the way for full Senate approval in the coming weeks. Disclosure: The University of Texas at Austin, Rice University and Texas Tech University have been financial supporters of The Texas Tribune. A complete list of Tribune donors and sponsors can be viewed here.